Greetings, my fellow water swiggers! Howzabout some musickal frogs? Regular water swiggers may lift an eyebrow over ol’ Robbo’s indulging in a little musickal treat despite his Lenten intentions. I will just say that I received some immensely good news last evening – which I’m afraid is under embargo for the moment – and just felt that a little celebratory silliness attached to the day might not be out of order. If you’re interested in such things, Father Z has an interesting post on the Roman Martyrology of the day, known in Latin as Bisextilis. From The Files Of The N.I.C.E. My fellow water swiggers, I’m in a very cheerful mood today, but this is just too much. Well, yes. As Catholic, I would agree with that statement. Just glance down again at that quote from C.S. Lewis about the difference between Christians and Materialists. I don’t post these things out of mere whim. This is an example of the horrid logic about short-term “happiness” spawned by the latter. Read the rest, if you can stomach it. And be sure not to miss the part where the fellah in charge defends his crew against the “witch hunt” mentality that their paper has stirred up. It’s so unfair! I suppose I could say “damn you” to these so-called experts, but it strikes me that they’re doing a pretty good job of taking care of that biznay themselves. The “ethicists” essentially agree, as a categorical matter. Killing a baby is akin to aborting a fetus — so go ahead and kill babies! In other words if you place no moral weight on a fetus, they argue, you should place no moral weight on a newborn either. Conversely if you invest enormous moral weight to a newborn, argue the pro-lifers, you should invest at least some moral weight in a fetus as well. The moral difference in worldview is total, but the terms and logic are remarkably similar. Conclusive proof that the G-File is a secret port swiller! If Christianity should happen to be true, then it is quite impossible that those who know this truth and those who don’t know should be equally well equipped for leading a good life. Knowledge of the facts must make a difference to one’s actions. Suppose you found a man on the point of starvation and wanted to do the right thing. If you had no knowledge of medical science, you would probably give him a large solid meal; and as a result your man would die. That is what comes of working in the dark. In the same way a Christian and a non-Christian may both wish to do good to their fellow men. The one believes that men are going to live for ever, that they were created by God and so built that they can find their true and lasting happiness only by being united to God, that they have gone badly off the rails, and that obedient faith in Christ is the only way back. The other believes that men are an accidental result of the blind workings of matter, that they started as mere animals and have more or less steadily improved, that they are going to live for about seventy years, that their happiness is fully attainable by good social services and political organizations, and that everything else (e.g., vivisection, birth-control, the judicial system, education) is to be judged ‘good or ‘bad’ simply insofar as it helps or hinders that kind of ‘happiness’. Now there are quite a lot of things which these two men could agree in doing for their fellow citizens. Both would approve of efficient sewers and hospitals and a healthy diet. But sooner or later the difference of their beliefs would produce differences in their practical proposals. Both, for example, might be very keen about education: but the kinds of education they wanted people to have would obviously be very different. Again, where the Materialist would simply ask about a proposed action, ‘Will it increase the happiness of the majority?’, the Christian might have to say, ‘Even if it does increase the happiness of the majority, we can’t do it. It is unjust.’ And all the time, one great difference would run through their policy. To the Materialist things like nations, classes, civilizations must be more important than individuals, because the individuals live only seventy-odd years each and the group may last for centuries. But to the Christian, individuals are more important, for they live eternally, and races, civilizations and the like, are in comparison the creatures of a day. The Christian and the Materialist hold different beliefs about the universe. They can’t both be right. The one who is wrong will act in a way that simply doesn’t fit the real universe. Consequently, with the best will in the world, he will be helping his fellow creatures to their destruction. I didn’t really start out my Lenten reading with a clear thematic purpose in mind, but recent nooz headlines have focused the Braims o’ Robbo more and more on this dichotomy. And it isn’t as if I hadn’t thought about it before, but with each passing year this fundamental difference in focus on the short term and the, well, eternal, becomes increasingly urgent to me. Greetings, my fellow water swiggers! The middle gel met me with the news last evening that she’s spotted where the Washington National Opera is currently staging a production of Mozart’s Cosi Fan Tutte. (We have a very good DVD recording at home that she loves to watch, and she’s said more than once that she’d like to sing Fiordiligi herself some day.) Cozying up to ol’ Dad and flashing her winningest smile, she said she’d really, really like to go see it…..Just the two of us….Pleeeeeaaaase…..
Feminine wiles. I already feel sorry for the poor bastards who wander into that kid’s crosshairs in the future. They don’t stand a chance. At least, Miller said he was updating the action to the present. From the costumes (Timm Burrow revised them for this revival) and the characters’ behavior, it looked more as if he had updated it to 1980s-era Eastern Europe: some place trying a little too hard to bring across what it mistakenly believed to be the epitome of American cool, along the lines of Saturday Night Live’s “two wild and crazy guys.” The two sisters, dressed in garish ’80s colors, shimmied while they sang, like schoolteachers embarrassing their students by joining in at a school dance; the disguised men embodied creaky, decades-old stereotypes of either biker cool or rock chic. So what was so funny? Answer: the supertitles (by Jonathan Dean, from the Seattle Opera, where this production was seen earlier). When the disguised men enter in leather jackets, long hair, and sunglasses, addressing them in ’60s-vintage slang, Despina, the sisters’ maid, says, “Where are they from? Manassas? Leesburg? Adams Morgan? Baltimore?” (The original Italian: “I don’t know if they’re Romanians [Valacchi] or Turks!”) When the two men later serenade the women, the lyrics are tweaked to echo “Lucy in the Sky With Diamonds” — again, hardly a contemporary reference, but one the opera audience certainly got. It’s a shame that this humor wasn’t backed up by anything comparable onstage. Miller has been saying for years that his goal is to get rid of operatic cliches, so it’s frustrating to see him offer a production so rife with them, from the singers’ gestures to the outdated concepts. He violated a cardinal rule of comedy by creating characters who were parodistic; it was hard to find anything sympathetic about any of them. Furthermore, for all his lip service to naturalism, he did little to bring out the beauty of this quirky but often ravishing work. He piled on lots of stage business when the men pretended to go off to war, having them interviewed by a TV reporter. But in the ensuing trio between the two women and Don Alfonso, one of the most beautiful things in the operatic canon, he seemed at a loss to do anything at all. The article also notes that the singing is generally lackluster and the orchestra distinctly meh. And with decent tickets starting at about $75 each and rapidly heading north, I found myself cringing. Do I really want to spend that kind of dosh for a production that is not only camp, which is loathsome enough in itself, but failed camp? So I went back to the gel. So I guess we’re going. We’re supposed to learn this weekend whether the gel makes it into the National Cathedral Choristers. I suppose I can look on this jaunt as either a congratulatory or consolatory outing, depending on the news. UPDATE: I should also mention that the offeratory at RFEC this past Sunday was “Jesu, der du meine Seele” from Bach’s Cantata BWV 78. The gel leaned over and whispered to me that she’d like to sing this some day, too. It’s been running through my head ever since. ♦ Regular water swiggers may recall my posting last week that the eldest gel had signed up to train for a 5k run? On Saturday, ol’ Robbo very foolishly offered to go out for a spin round the neighborhood with her in order to encourage this endeavor. It has been some years since I last tried hitting the pavement. You know how the insides of a thermos sound after you drop it? My knees and ankles feel that way today. ♦ What with the peculiarity of the Sunday worship arrangements around the water swigger household, yesterday found self riding herd on the eldest gel’s confirmation class over at RFEC. Not teaching, mind you, but rayther showing the parental flag in order to try and subdue some of the more unruly elements. All I can say is that while I don’t have that many encounters with adolescent boys, each one that I do have confirms further my opinion that in many ways they are even more loathsome than adolescent girls. There was one particular kid, a tall, gangly smart-Alec and the obvious ring-leader of the trouble makers, of whom I would have paid good money for the privilege of kicking down the stairs. ♦ I may have mentioned before that I sit on the board of St. Marie of the Blessed Educational Method? Well, the school has begun its re-accreditation process and last evening saw the board doing the meet-and-greet with the re-accreditorial “team,” first giving them a tour, then being grilled about our operational practices and philosophy, and finally taking them out to din-dins. Ol’ Robbo dislikes intensely the gentle art of politicking, but I’m happy to say that, when pressed, I can still pull it off. Three whole hours without squinting! Ol’ Robbo, was chatting with the Mothe on what we like to call the puh-telephone over the weekend , as is his custom, when the subject of Peter and Paul came up, specifically one’s comfort with the former and difficulty with the latter. This put me in mind of a book recommendation made by long time friend of the carafe Mink Monica that has been lurking in the back of what passes for ol’ Robbo’s brain for some weeks now. 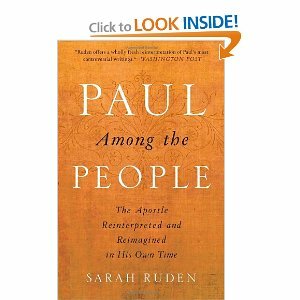 Specifically, Monica suggested, nay, insisted that I really need to read this: Paul Among the People, The Apostle Reinterpreted and Reimagined in His Own Time, by Sarah Ruden. As I understand it, Ruden’s goal is to put Paul in his historickal context, the better to understand the passion and urgency of his writing that gives some folks the heebie-jeebies. Not, I believe, to try and dilute or soft-pedal the substance, as many people nowadays no doubt would wish, but instead to provide some backdrop for the way in which Paul serves it up. The older I get, the less I believe in coincidence. Taking the Mothe’s mention of the topic as a cue, I’ve now nipped over to the devil’s website and purchased a copy of the book. I’ll let you know what I think once I’ve got my hooks into it. We are inveterate poets. Our imaginations awake. Instead of mere quantity, we now have a quality – the sublime. Unless this were so, the merely arithmetical greatness of the galaxy would be no more impressive than the figures in a telephone directory. It is thus, in a sense, from ourselves that the material universe derives its power to over-awe us. To a mind which did not share our emotions, and lacked our imaginative energies, the argument from size would be sheerly meaningless. Men look on the starry heavens with reverence: monkeys do not. The silence of the eternal spaces terrified Pascal, but it was the greatness of Pascal that enabled them to do so. When we are frightened by the greatness of the universe, we are (almost literally) frightened by our own shadows: for these light years and billions of centuries are mere arithmetic until the shadow of man, the poet, the maker of myth, falls upon them. I do not say we are wrong to tremble at his shadow; it is the shadow of an image of God. But if ever the vastness of matter threatens to overcross our spirits, one must remember that it is matter spiritualized that does so. To puny man, the great nebula of Andromeda owes in a sense its greatness. And this drives me to say yet again that we are hard to please. If the world in which we found ourselves were not vast and strange enough to give us Pascal’s terror, what poor creatures we should be! Being what we are, rational but also animate, amphibians who start from a world of sense and proceed through myth and metaphor to the world of spirit, I do not know how we could have come to know the greatness of God without that hint furnished by the greatness of the material universe. Once again, what sort of universe do we demand? If it were small enough to be cosy, it would not be big enough to be sublime. If it is large enough for us to stretch our spiritual limbs in, it must be large enough to baffle us. Cramped or terrified, we must, in any conceivable world, be one or the other. I prefer terror. I should be suffocated in a universe that I could see to the end of. Have you never, when walking in a wood, turned back deliberately for fear you should come out the other side and thus make it ever after in your imagination a mere beggarly strip of trees? I hope you do not think I am suggestion that God made the spiral nebulae solely or chiefly in order to give me the experience of awe and bewilderment. I have not the faintest idea why He made them; on the whole, I think it would be rather surprising if I had. As far as I understand the matter, Christianity is not wedded to an anthropocentric view of the universe as a whole. The first chapters of Genesis, no doubt, give the story of creation in the form of a folk-tale – a fact recognized as early as the time of St. Jerome – and if you take them alone you might get that impression. But it is not confirmed by the Bible as a whole. There are few places in literature where we are more sternly warned against making man the measure of all things than in the Book of Job: ‘Canst thou draw out leviathan with a hook? Will he make covenant with thee? Wilt thou take him for a servant? Shall not one be cast down even at the sight of him?’ In St. Paul, the powers of the skies seem usually to be hostile to man. It is, of course, the essence of Christianity that God loves man and for his sake became man and died. But that does not prove that man is the sole end of nature. In the parable, it was the one lost sheep that the shepherd went in search of: it was not the only sheep in the flock, and we are not told that it was the most valuable – save in so far as the most desparately in need has, while the need lasts, a peculiar value in the eyes of Love. The doctrine of the Incarnation would conflict with what we know of this vast universe only if we knew also that there were other rational species in it who had, like us, fallen, and who needed redemption in the same mode, and that they had not been vouchsafed it. But we know none of these things. It may be full of life that needs no redemption. It may be full of life that has been redeemed. It may be full of things quite other than life which satisfy the Divine Wisdom in fashions one cannot conceive. We are in no position to draw up maps of God’s psychology, and prescribe limits to His interests. We would not do so even for a man whom we knew to be greater than ourselves. The doctrines that God is love and that He delights in men, are positive doctrines, not limiting doctrines. He is not less than this. WHat more He may be, we do not know; we only know that He must be more than we can conceive. It is to be expected that His creation should be, in the main, unintelligible to us. I will leave it to you to make of these ideas what you will. For myself, whenever I contemplate them I am filled with a wonderfully jumbled sense of wonder and awe and thankfullness and humility. It’s often the case that after the fasting of Ash Wednesday, the plunge into more intense theologickal contemplation and the cutting off of the evening glass of wine, ol’ Robbo is visited in the night by quite vivid dreams of a more or less phantasmagorical nature. Last night? Not so much. I remember being on a wide road in the middle of a valley surrounded by low, steep hills, but that’s about it. Sometimes the ol’ subconscious doesn’t have much to say, I suppose. Anyhoo, came outside this morning to revel in an almost perfect early-spring sunrise. Yes, this is a season of penance, but it’s also one of readjusting the focus, and I see nothing wrong in taking the time to glory in the Lord’s handiwork and refresh the ol’ sense of proportion. And speaking of which, check out this awe-inspiring website that allows you to scroll back and forth through the scale of, well, the entire Universe. Yeek. A glass of, uh, tea with Nancy French over at NRO! On Mementoing Mori – Now With Snark Sighting Update! 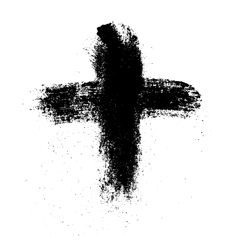 As for Lent, as is self-evident I’ve decided not to give up blogging per se, although I hope to confine myself to religious matters and curtail the more frivolous side of things. Those of you interested in the former, welcome aboard. Those of you more interested in the latter, well, at ease. Smoke ’em if you’ve got ’em. Hunting up posts from previous Ash Wednesdays, I see that I’ve said pretty much the same thing the past few years as above. In hindsight, I’m afraid that while my intentions have been good, my follow-through has not always been what I could wish. Ah well, as the Alan Jackson song says, I’m a work in progress. Perhaps this will be the year to really nail it. Exclusively designed and created for Virginia Born & Bred, these are beautifully detailed wooden miniatures representing Lexington’s outstanding historic landmarks. 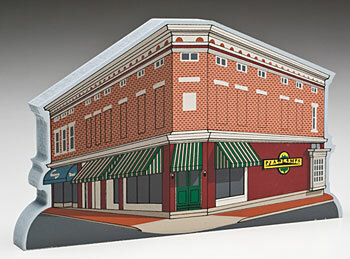 Handmade, each piece is cut and then screen printed in full color to reproduce the most detailed reproduction available. Currently owned by the Masonic Lodge, the building at the corner of Nelson and Jefferson Streets has quite a history. The building was built in 1836 by The Franklin Society, foremost among debating clubs in the country, as a place to hold their weekly debates and to provide a public library for the town of Lexington. In 1891, the hall and library were transferred to Washington & Lee University. In 1909, the university sold the building. Since that time, it has been a grain and feed store, an ice cream parlor, and beginning in 1975, The Palms, a popular and well known restaurant, owned and operated by Mr. Wade Leslie, has occupied the first floor. Yes, many and oft a pleasant evening I spent within the old place myself, none more so than Fat Tuesday of, lessee, 1989, when a group of us, having feasted on some highly inflammable jambalaya made by a classmate from Noo Awlins, spent the evening getting the barkeep to concoct a drink we called the “Generals’ Krewe.” (I wonder if it’s still on the menu?) God knows what the actual liquors were, but with a delicate touch the barkeep could lay them down in successive layers of purple, yellow and green. Very decorative, and most conducive to general (so to speak) festivity. Of course, the next morning, when, sporting a serious hangover, I was absolutely nailed by our terrifying Crim-Pro prof (Roger Groot, R.I.P.) over the case I should have been studying instead of indulging in revelries, well, I felt little better than a pile of ashes.